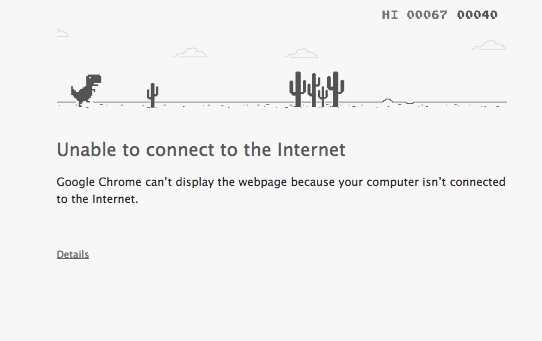 If you use Google Chrome, as I do, then you probably would have been familiar with this adorable, but frustrating, little dinosaur. But if you know Google well enough, you would know that they just love easter eggs. And surprisingly people still don’t really know this one. 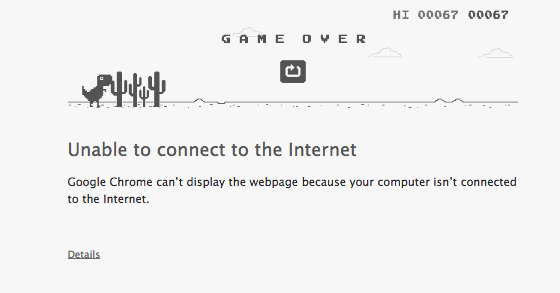 While people are making jokes about how there’s a T-Rex because he has tiny arms that can’t ‘reach the webpage’ (ha ha), they’re missing out on the mini-game of a lifetime. To begin, simply press space. The world around the dinosaur grows. The little T-rex begins to run through what appears to be a desert landscape. He looks young, he looks freed from his shackles of internet-less frustration. He’s stretching his limbs from what seems like years of unknowing Chrome users swearing at him for his disruption. It was never his fault. Now, he just wants to run free forever. 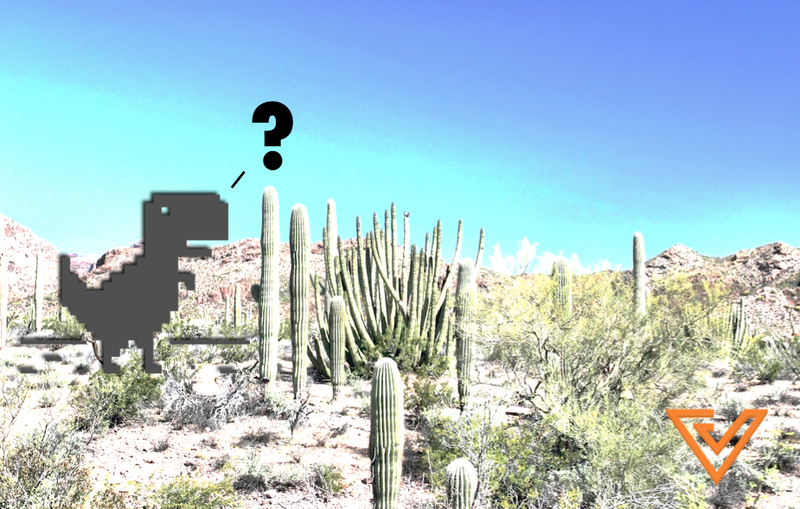 And then, this two-toned universe throws our little T-Rex into a race through prickly cacti obstacles! Press space to jump. Jump, little T-Rex, jump! 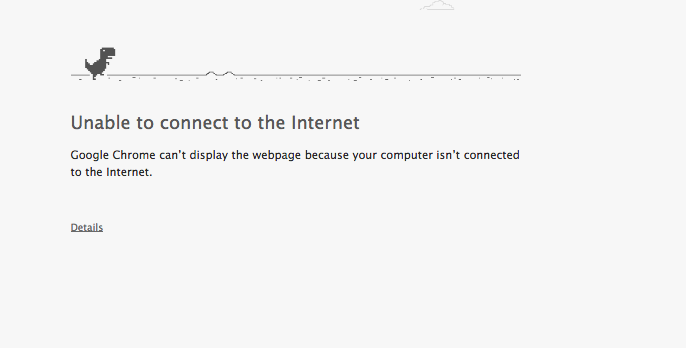 But alas, like all life, our little T-Rex dies, sadly by your own hands. Dozens of questions fly through your head. Why didn’t you press space in time? How did you not know this amazing game existed? Does he know the sad little creature from Flappy Bird? And most importantly, how far can you get next time? 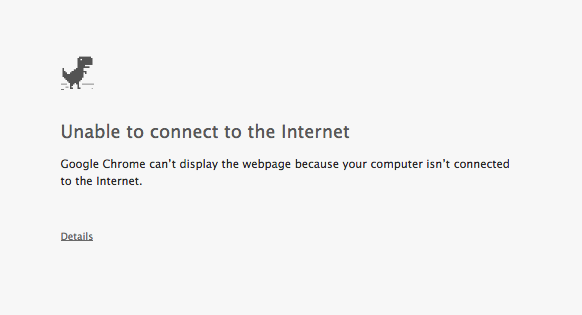 Turn off your wifi, load a website, and begin. You’re welcome.